"Empire" actor and R&B singer Jussie Smollett told Chicago police last month that two men physically attacked him and yelled racial and homophobic slurs. Jussie Smollett tells Chicago police he was physically attacked by two men in downtown Chicago while out getting food from a Subway restaurant at 2 a.m. The black and openly gay actor tells authorities the men used racial and homophobic slurs, wrapped a rope around his neck and poured an "unknown substance" on him. Police say Smollett told detectives that the attackers yelled he was in "MAGA country," an apparent reference to President Donald Trump's "Make America Great Again" campaign slogan that some critics of Trump have decried as racist and discriminatory. Chicago police say they've reviewed hundreds of hours of surveillance camera footage, including of Smollett walking downtown, but none of the videos show the attack. Police obtain and release images of two people they would like to question. Reports of Smollett's attack draw outrage and support on social media, including from U.S. Sen. Kamala Harris of California, U.S. Rep. Bobby Rush of Chicago and TV talk show host Ellen DeGeneres. Trump tells reporters at the White House that he saw a story the night before about Smollett and that, "It doesn't get worse, as far as I'm concerned." Smollett's family issues a statement calling the attack a racial and homophobic hate crime. Smollett's family says he "has told the police everything" and "his story has never changed," disputing assertions leveled on social media that he has been less than cooperative and changed his story. "Empire" star Jussie Smollett is suspected of filing a false police report in Chicago, police said Wednesday. Smollett issues a statement telling people that he is OK and thanking them for their support. He says he is working with authorities and has been "100 percent factual and consistent on every level." 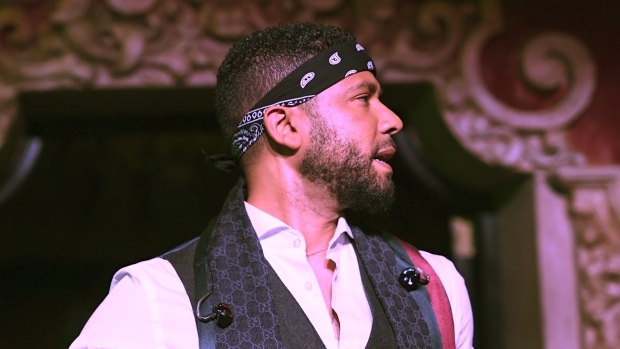 Smollett gives a concert in West Hollywood, California, opening with an emotional speech, saying he had to play the show because he couldn't let his attackers win. Chicago police say Smollett turned over some, but not all, of the phone records detectives requested as part of their investigation. Police say the heavily redacted files aren't sufficient. Smollett says he redacted information to protect the privacy of contacts and people not relevant to the attack. Smollett appears in his first television interview since the alleged attack, saying he's "pissed off" at not just the attack but those doubting his story. Chicago detectives say they're interviewing two "persons of interest" from surveillance video. Chicago police later say local media reports that the attack against Smollett was a hoax are unconfirmed. Producers of "Empire" dispute media reports that Smollett's character was being written off the show. Chicago police spokesman Anthony Guglielimi says the two "persons of interest" are now considered potential suspects. The men were arrested and being interrogated Friday but have not been charged with a crime. Police say the investigation has "shifted" after detectives question the two brothers about the attack and release them without charges. Police say they've requested a follow-up interview with Smollett. Smollett's lawyers say the actor feels "victimized" by reports that he played a role in the assault. Smollett's account of what happened is met with some skepticism on social media in the wake of the new developments. Chicago police say they're still seeking a follow-up interview with Smollett after receiving new information that "shifted" their investigation of a reported attack on the "Empire" actor. Guglielimi says police reached out to Smollett's attorney, but says an interview has not been conducted. Guglielimi declines to address reports that a grand jury may hear evidence in the case, saying: "We're not confirming, denying or commenting on anything until we can talk to him and we can corroborate some information that we've gotten." Chicago police investigate tip that on the night Smollett reported being attacked, he was in an elevator of his apartment building with the two Nigerian brothers. Police later dismiss the tip, saying it's not credible based on video evidence. Chicago's top prosecutor, Cook County State's Attorney Kim Foxx, recuses herself from the investigation. Her office says the decision was made "out of an abundance of caution ... to address potential questions of impartiality based upon familiarity with potential witnesses in the case." No details were provided. Foxx later says the reason for the recusal is that she had conversations with a Smollett family member after the incident was reported in late January. Chicago police say Smollett is officially suspected of filing a false police report when he said he was a victim of a racist, homophobic attack in downtown Chicago late last month. Police also say that two brothers who were questioned about the attack were testifying before a grand jury and detectives were presenting evidence to the grand jury. Chicago police say the Cook County State's Attorney has charged Smollett with disorderly conduct for filing a false police report that he was attacked by two masked men. Police detectives were contacting Smollett's attorneys to arrange his surrender for arrest. 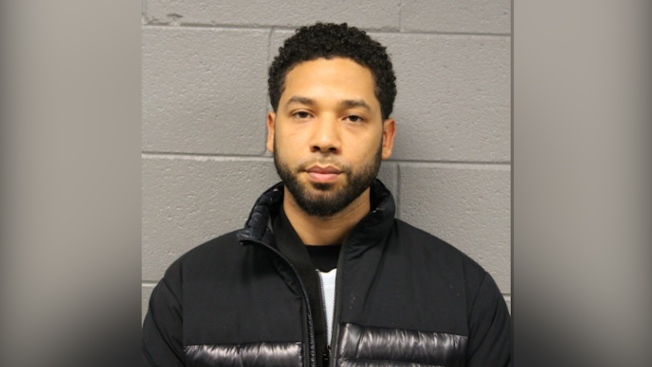 Chicago police say Smollett turned himself in to face a felony charge of disorderly conduct, which could bring up to three years in prison. 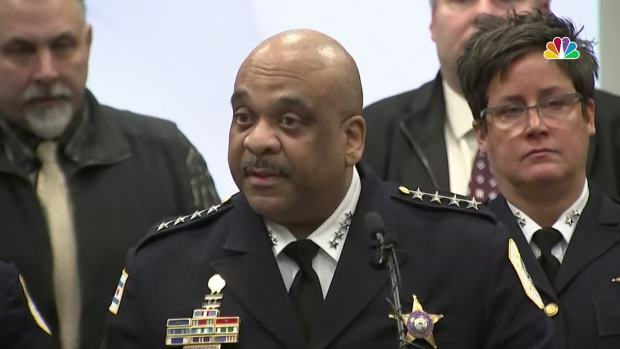 Chicago Police Superintendent Eddie Johnson says Smollett staged a racist and homophobic attack because he was unhappy with his salary and wanted publicity. Investigators say they have a $3,500 check that Smollett used to pay the two brothers to help him. All criminal charges against Jussie Smollett were dropped. "Today, all criminal charges against Jussie Smollett were dropped and his record has been wiped clean of the filing of this tragic complaint against him," attorneys Tina Glandian and Patricia Brown Holmes said in a statement.